With the increase in dollar prices, traveling abroad for summer vacation costs more than double what it used to cost. When you factor in the airplane tickets, accommodation, food, and social events, the amount you will need to spend abroad to enjoy your trip can be daunting. On the bright side, Egypt is blessed with various locations where you can enjoy your summer. Unless you have an endless supply of money, you probably won’t be able to buy a summer home in every location in Egypt. In this article we will compare three of the most popular holiday locations: El Gouna, the North Coast, and Sokhna. Buying a summer home in El Gouna is basically like buying the crème de la crème. 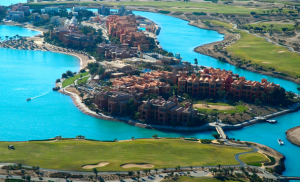 Located next to Hurghada on the Red Sea, El Gouna’s quality is unrivaled. Over the past 25 years this touristic community has developed into the perfect getaway. 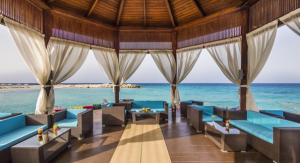 If you are into fine dining or clubbing, then Gouna is the place for you. The Marina is one of a kind and is the perfect place to dock your yacht (if you can afford one), rent one for a fishing trip, or if you’re like us, just admire other people’s yachts. 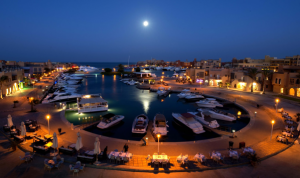 El Gouna is the closest you can get to a European getaway without getting a visa. Plenty of Egyptians and Europeans have made El Gouna their new home. The drive to El Gouna from Cairo is about 450km, making it a somewhat exhausting trip if you’re only staying for a weekend. On the other hand, local carriers operate several daily flights from Cairo Airport to Hurghada. El Gouna is one of the best kite-surfing destinations in Egypt. If you are into safaris, then there are plenty of adventures waiting for you. El Gouna also has an international school and a hospital. Drive: 4-5 hours by car/1 hour by plane. Price range: 25,000-30,000 pounds per meter for a sea view unit. Throughout most of the year, it is a ghost town. But during the summer people from all over Egypt flock there to enjoy some of the nicest beaches in the world. The North Coast gets much more crowded than El Gouna. Also, most of the visitors are Egyptians with few foreigners. One of the advantages is location as the short drive allows for families to spend the weekends and drive back to Cairo or Alexandria for work. The nightlife has numerous events to attend ranging from Amr Diab’s annual summer concert to clubbing and dining. Ranging all the way from Alexandria to Marsa Matrouh the North Coast offers a variety of different compounds. 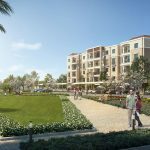 When picking which compound you want to buy your summer home in, remember that as you travel west along the coast you move towards newer compounds and more pristine beaches. The future of the North Coast seems to be heading west towards cleaner beaches. Of course many of the older compounds such as Marina have some of the best facilities and natural lagoons in the world. Drive: 2-3 hours by car. Sokhna is the closest to Cairo of the three locations. In just over an hour you can leave your office and be standing on the beach. So even if you can’t take an entire weekend off, it is perfect for a day trip. 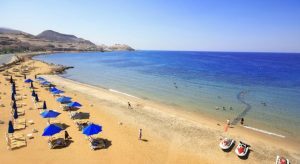 It is worth noting that some resorts are closer to Zaafarana than Sokhna, and may take up to two hours to reach – but that’s still shorter than any other location. Also, it is usable almost all year. Some resorts closer to the main road (in the Movenpick area) are sheltered by mountains, making them hotter in the summer but warmer in the winters. Resorts closer to Zaafarana (in particular, the wind farm area) are much breezier, and are comfortable in the summer, but may be too chilly in the winter months. Unfortunately, Sokhna is underdeveloped and parts of the road leading there are dangerous. The nightlife in Sokhna is much more quiet with fewer concerts and venues. Drive: 1-2 hours by car. Price range: 15,000-20,000 pounds per meter for a sea view unit. COOING SAID THIS: The real estate market is influenced by cyclical changes. Like everything else, it’s affected by the local economy, financial markets, and the job market. But there are also seasonal shifts that impact the home buying process, including the price you pay for your new home. Even after you pick the location of your new summer home, it is wise to discuss the available options with one of our real estate consultants.